1: What Is Title Loan Repossession? One of the more unfortunate outcomes of car title loans is repossession. However, this can be easily avoided. There are two key factors in avoiding repossession: borrowing a manageable amount and managing your payments. To avoid repossession completely, borrowers can apply for a manageable loan to begin with. It is never recommended to borrow more than you are able to repay, as this is a recipe for financial trouble. Whether the loan is in late payment or non-payment status, or perhaps hone to repossession, these actions will be reported on the borrower’s credit. As a result, your credit score will be negatively impacted. When taking out a car title loan, borrowers should have a payment management plan already laid out. Lenders do provide payment dates and the payoff date with the loan documents. However, your repayment plan is more than this. Being successful with a car title loan requires accurate budgeting on the borrower’s side. You must ensure that you can make the payments on time and decide what is affordable with your current income. This is why it is crucial to have an honest accounting of your monthly income and expenses. Otherwise, financial difficulty and possible repossession could be the outcomes of taking out a car title loan. 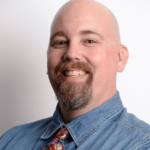 What Is Title Loan Repossession? Repossession is an undesired outcome of car title loans. Both lenders and borrowers do not want a car title loan to end with a vehicle repossession because it affects both parties involved. Vehicle repossession is where the lender repossesses the borrower’s car. This is a legal action. Borrowers put their vehicle up as collateral in a car title loan and the vehicle serves as a guarantee for the loan amount. In cases where borrowers fail to make payments, or pay off the car title loan on time, lenders can seize the vehicle. In fact, borrowers actually give written permission to the lender to do this. Repossession options are included in car title loan paperwork. However, repossession is not the immediate reaction to late or non-payment with car title loans. In fact, it is usually the last act. Most lenders want to work with borrowers to keep from having to repossess a vehicle. Vehicle repossession actually creates more hardship and hassle for borrowers and lenders involved. Repossession involves massive amounts of paperwork and work hours for the lender. In many cases, it is rare that a lender financially breaks even when car title loans end in repossession. This does not mean that lenders are easy on borrowers who make late payments, or do not pay at all. Lenders will make sure, as best as they can, that borrowers pay completely on time on a car title loan. 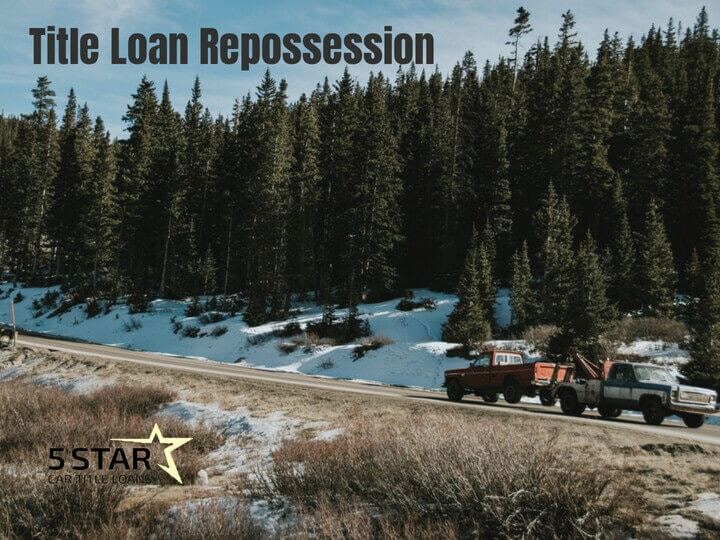 A repossession occurs when the lender takes full control of a vehicle because a borrower couldn’t pay up their title loan at the right time! Unfortunately, repossession is the outcome of some car title loans. However, this can be prevented by financial management. Repossession usually occurs as the last act by the lender in completing a loan. If a borrower cannot or refuses to make payments, a lender can call the loan due and take possession of the collateral. In these cases, the borrower loses possession of their car. Once repossession has occurred, a couple of things happen to the borrower. First, their credit report is hit with a repossession and failure to pay notice, which results in a credit score decrease. Next, the creditor can turn over the defaulted loan to a collections agency. At this point, the agency will contact the borrower in pursuit of collecting the money the original lender is owed, plus any penalties and fees. Lenders, now in possession of the vehicle, can sell it at auction. They auction off the repossessed vehicle in an attempt to recover some of the funds still owed on the car title loan. There are extreme cases. Depending on the state you live in and the lender, your wages can be garnished legally. Lenders can seek a court order to do this. Borrowers, in these cases, not only lose their vehicle, but continue to pay on the car title loan as well. Car title loan laws differ from state to state. This includes laws governing repossession. It is always recommended that borrower educate themselves on the laws before applying for a car title loan. Believe it or not, the laws governing title loan repossession are there to protect both borrowers and lenders. In fact, California laws allow the lender to take possession of the collateral as soon as a payment is missed. However, not all lenders do this. Many lenders will make every attempt to work with borrowers in order to keep the loan current. Some lenders may try to work out a payment plan to bring the loan current. Others may roll the loan over. This usually involved extending the loan for another 30 days. When lenders roll over a loan, additional interest accrues, along with fees and penalties. Altogether, this increases the total amount due by the borrower. What Happens If You Don’t Pay Back A Car Title Loan? While there are many steps a creditor can take before vehicle repossession, it’s important to note the differences between a late payment and a non-payment. If a loan becomes delinquent through late payment, a number of things can occur. It is ultimately up to the lender how they proceed with late payments. Most often, lenders contact a borrower as soon as payment is late to work out a solution. Even though the borrower will have a late payment recorded on their credit report, it is better than a non-payment. The quicker the loan repayment can get current, the better for all involved. The situation with car title loans becomes different when the loan goes from being late, to non-payment. This serious situation could end in repossession. In extreme cases, the lender may demand the entire sum of the loan due immediately. This could cause undue financial hardship for the borrower. However, the lender has every right to call the loan due. If the borrower cannot bring the loan current, the lender may exercise their right to repossess the vehicle. At this point, the laws in most states support the borrower repossessing the collateral. This is especially true in California. Regardless of how the repossession occurred, a creditor cannot sell any personal items found inside the vehicle. In several states, the creditor must provide an inventory of the items found and information on how to retrieve them. If the creditor cannot account for the assets, borrowers have the right to speak to an attorney about compensation. Depending on the state, the borrower has several options to reclaim the seized property. Oftentimes, the borrower will need to pay the balance in full and any repossession costs. Other states will allow the borrower to purchase the vehicle at an auction as long as the deficiency is accounted for. In addition, certain states allow borrowers to have the loan reinstated if all repossession fees are paid. States also impose regulations on when the creditor needs to contact the borrower on a defaulted loan and how it can be reimbursed. Whether the loan is in late payment or non-payment status, or perhaps hone to repossession, these actions will be reported on the borrower’s credit. As a result, your credit score will be negatively impacted. Overall, it’s important to take precautions and research the impact a car title loan can have before obtaining one.